It’s still freezing in the colder areas of the United States, but there’s no doubt that people are trying to mentally break through their cabin fever by making summer plans and booking events during the warmer months of the year. This trend has been popular in Thailand for a while and is making its way across the U.S. It’s made to order by pouring a cream base onto a cold steel pan that’s chilled to -15 or -20 degrees. The base is shaped with spatulas before mix-ins like Nutella, cookies, peanut butter, or berries are added. Then, it’s flattened on the pan and rolled up. That’s when things get creative — the rolls are placed in a bowl and artfully topped with anything from fruit, candy, waffle bits, and lavender honey. It’s the most Instagrammable dessert of the summer. 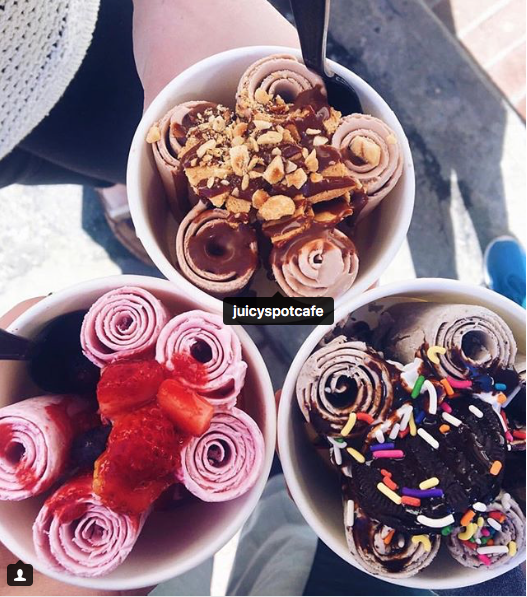 A sample of flavors and toppings of rolled ice cream at Juicy Spot Café in Boston. A great way for caterers to save time at the bar is by batching cocktails for events. Batching is simply making a large quantity of a cocktail before an event. Some common cocktails that could be batched include martinis, Manhattans, margaritas, sidecars, or the French 75. Keep in mind that ingredients like juice, bitters, or anything muddled will not sit well in a batch and should be added just before serving. 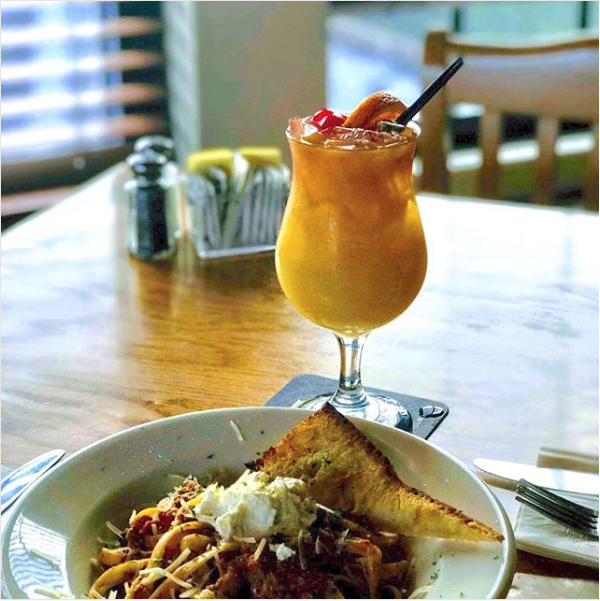 A popular batched cocktail at Duffy’s Tavern & Grill restaurants in Maine is its take on rum punch. A lime or lemon wedge are not adventurous enough for the modern cocktail aficionado. Bartenders are experimenting with beautiful and delicious garnishes that will turn your drink into a meal. The Bostonia Public House serves The Ultimate Bostonia Bloody Mary for brunch, which comes with access to their bloody Mary garnish table. Choose from shrimp, bacon, bacon-wrapped scallops, pepperoni sticks, ribs, cheese, donuts, celery, and olives along with toothpicks to build a Jenga-like creation to top your beverage. 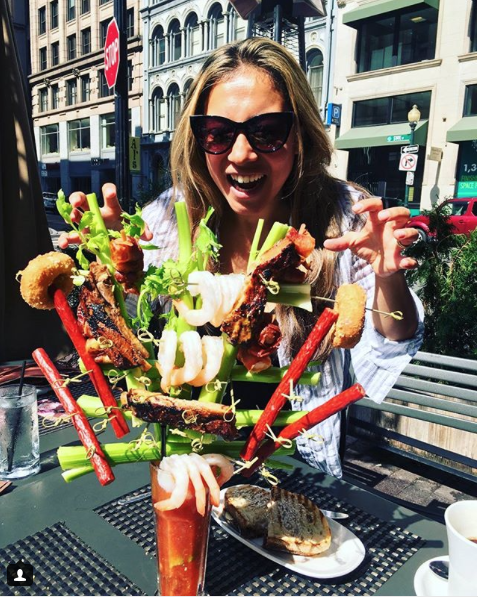 The Ultimate Bostonia Bloody Mary comes with extreme (and Instagram-worthy) garnishes at the Bostonia Public House. If you think that ice can only be frozen water, you’re thinking too small. Restaurants are freezing all kind of things that add flavor, beauty, and refreshment to cold cocktails for hot summer days. Quality Eats’ New York City locations serve a summer drink called the Unicow, which is made with vodka, pineapple, and St-Germain. 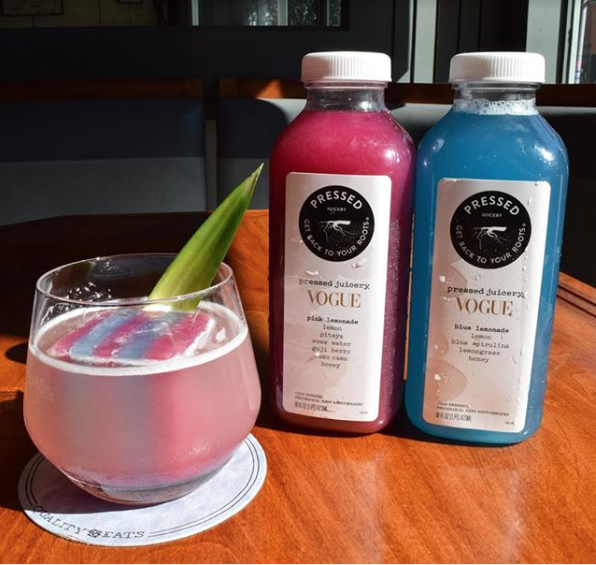 It’s poured over a pink-and-blue-striped ice cube of frozen pink and blue lemonades from Pressed Juicery. The Oran Mor in Nantucket, Mass., opts for savory cubes in their Flaming Daisy drink, a tequila-based, margarita-like cocktail. It’s served with a frozen cube of Fresno chile puree that adds spice as it melts. Quality Eats in New York City uses flavored ice – made of frozen pink and blue lemonades - in its summer cocktail, the Unicow. Vegan and vegetarian options are common today, but meat has still dominated many menus. Event planners are seeing a huge change now that more people are becoming more health conscious and are seeking out information about how our food is produced. Their guests are interested in food from local sources, organic vegetables, plant-based meat substitutes, ancient grains, salads, and smaller plates. 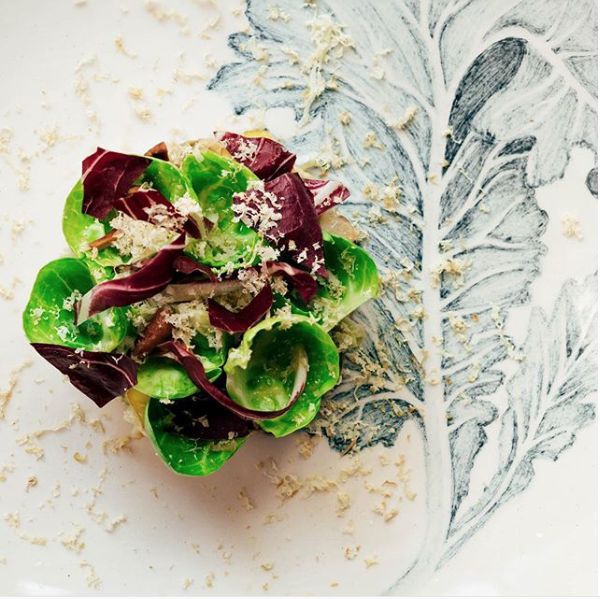 The menu at Quince in San Francisco includes healthy choices made from fresh, locally-sourced ingredients. Warmer weather will be here before you know it. Start thinking about what new food or beverage ideas you want to add to your menu now and perfect it before the season. You can’t go wrong. Any of these trends will add a fresh twist to the summer barbeques, weddings, parties, and picnics you’re planning.